There are many things that you can get out of juicing; things that make life greater by adding value to it. Through juicing, you get help in absorbing immune boosting nutrients that are contained in fruits and vegetables. 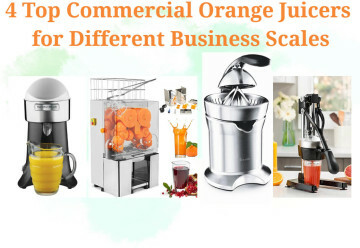 The commercial juices that you get from stores are commercially processed and so they lack the essential nutrition, while juice that is freshly squeezed is loaded with minerals, vitamins and phytonutrients. 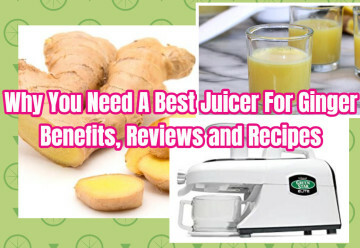 These facts make juicers an important equipment in every kitchen. There are many types of them, including manual or hand pressed and those that are run by electricity. 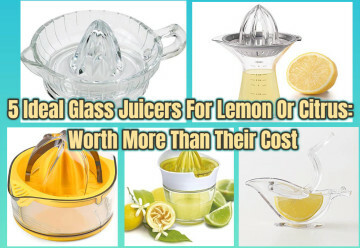 Many people find manual juicers, ideal to use and low in price yet are worth more than their cost. 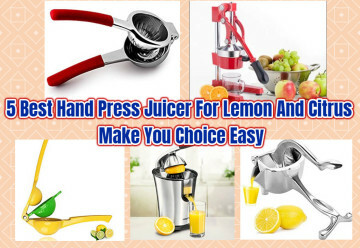 Most hand press juicers are for making simple juice at home or in the office; they are easy to use and not complicated. Difficulty choice? 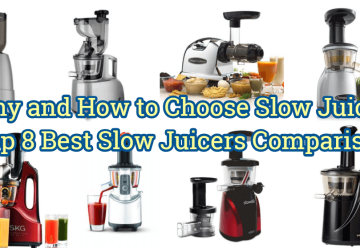 Look this guide how to choose the best juicer. 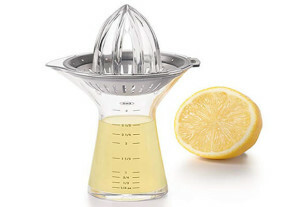 This juicer from HIC is made from weighty clear glass that can withstand the effect of citric acid in citrus. This construction makes the unit safe from damage, such as corrosion. Not only it gives a great performance, but also HIC Citrus juicer glass material ensures great stability, while juice is being extracted. The pour spout through which juice is discharged has a pointed sleek design. Also, the handle is designed to maximize productivity. The reservoir where the juice collects is small, but it is deep. It has an elegant appearance. Pouring the juice from the reservoir to another container such as a glass is easy to do and accomplish, thanks to the ergonomically designed spout. After the juice has been squeezed, you simply pour it through the front spout and you can easily enjoy your fresh and healthy beverage. 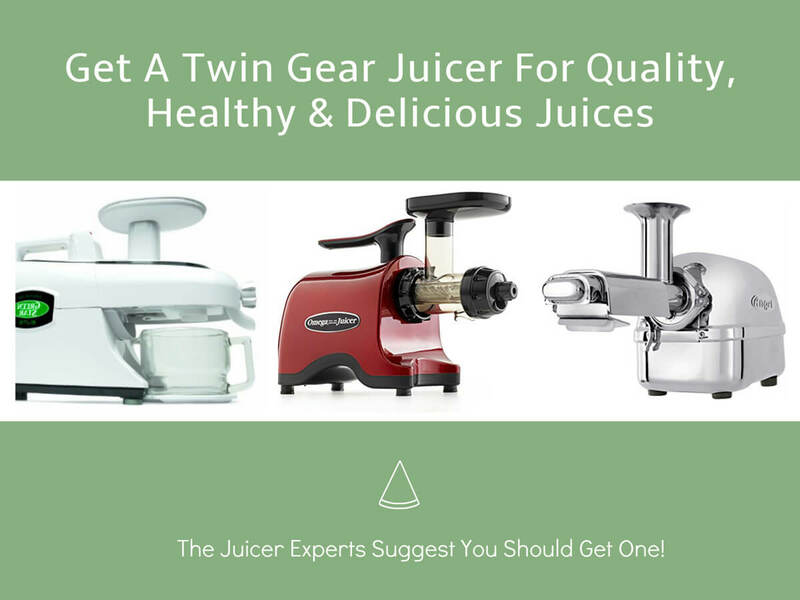 The ease of use of this manual juicer is perhaps among the best features that it offers. 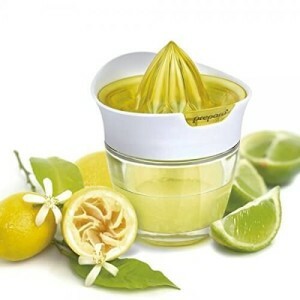 You simply press half of the lemon (or other citrus) on the reamer and turn it from left to right to squeeze the juice. The juice will then start flowing into the reservoir and once you’ve collected the desired quantity of the juice, you can simply pour it into your drinking glass. This product is dishwasher safe. However, if you want to wash it by hand, it can be easily done and because it is made of glass, you can just rinse it in water between each use. That would be enough. 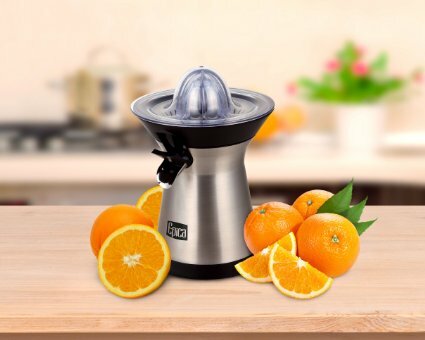 This glass citrus juicer has an innovative design, so that it collects fresh juice effectively and stores it and this juicer can accomplish it both in one go. The unit comes with a lid for storage. The glass construction provides more stability, making sure that the unit does not move, while the juice is being extracted. The glass is also ideal for hygienic purposes. 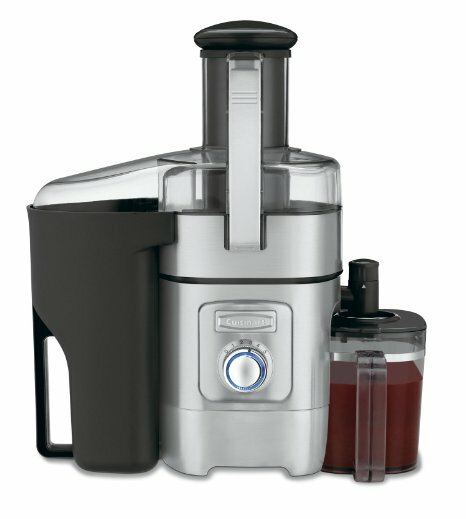 In addition, the glass is strong enough to make use of this juicer, as frequently as your demands may need. The handle is long and has a smooth and nice surface to give you the highest possible comfort. 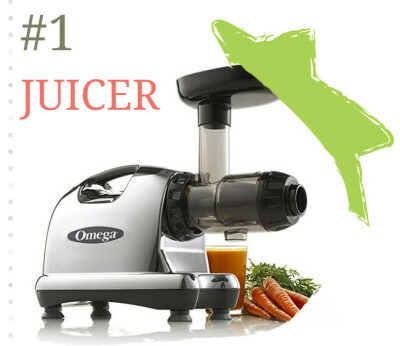 The juicing reamer has ideal angles for the most favorable juicing output and includes an integrated pouring spout for your convenience. The reservoir can hold 5 ounces/5ML juice capacity. The Prepara Glass citrus juice is BPA free and dishwasher safe and it has become a popular juicing appliance for its durability, simplicity, nice appearance and sturdy construction. 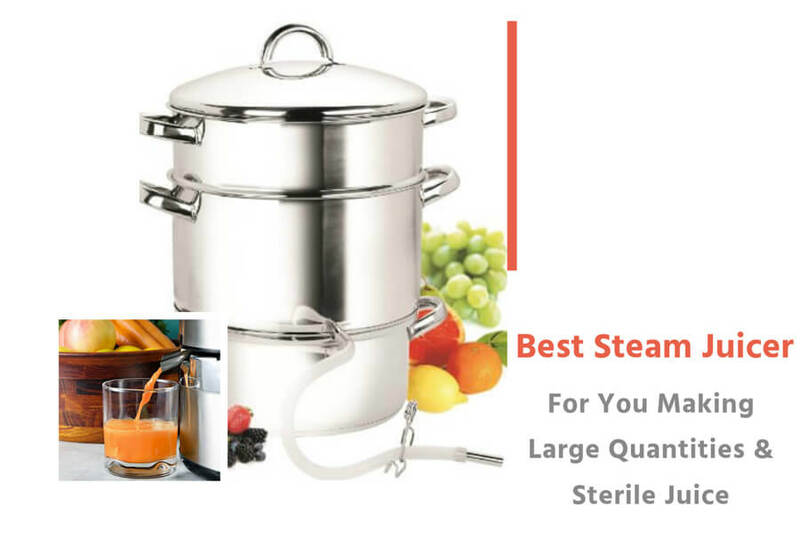 First of all, the OXO Steel citrus juicer has a great design with a clear body and elegant steel dish strainer that appeals both in the kitchen and the dining table. The shape allows you to grip it and pour the juice without difficulty and much effort, thanks also to the well designed drip free spout. 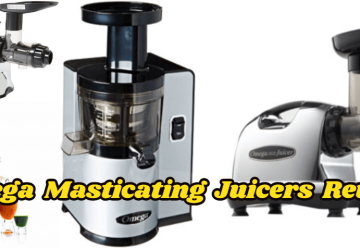 The juice will not spill all over the table or counter top, as in other juicers. The seeds are separated from the juice efficiently. 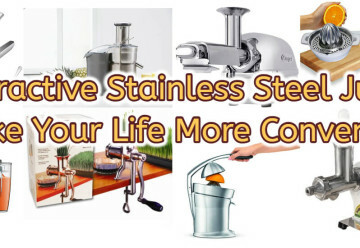 What makes this juicer different from other brands and models is that it has a built in measuring cup that allows you to measure the juice that you need for your favorite cocktail. It has a convenient measurement marking in metric and also 3/4 oz up to 3oz/88.7ml. 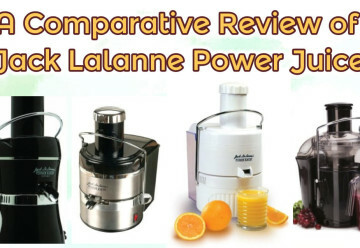 This small juicer is perfect for your juicing needs, with all the components able to get their job done in an effective and fast manner. The reamer has sharp edges that maximize the amount of juice extracted from citrus fruits, like lemons and lime. The reamer also makes juicing an enjoyable and productive task, while the built in strainer catches the pulp and seeds, preventing them from mixing with the juice. Some downsides though include the rather large holes of the strainer, which allow the small seeds and pulp to pass through. 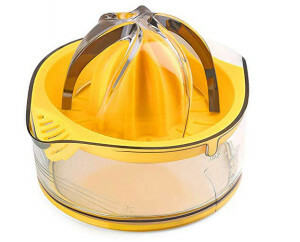 Another negative aspect of this product is that the base is plastic, instead of glass and the ridges of the reamer are extremely sharp that they extract more bitter taste, especially with lemons. Kasmoire squeezer has a space saving design and a lid that can easily be flipped open. 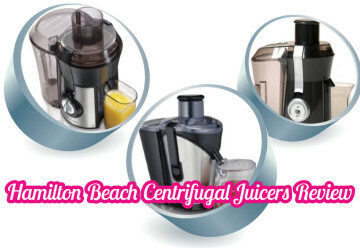 The juice container has a pour spout and can store juice at a capacity of 7 ounces/ 200ml. It means that it can store juice of about 3 oranges at a time. The container is very durable and can last for a lifetime when handled carefully. With a 9-tooth reamer, the juice can be squeezed out quickly and efficiently. 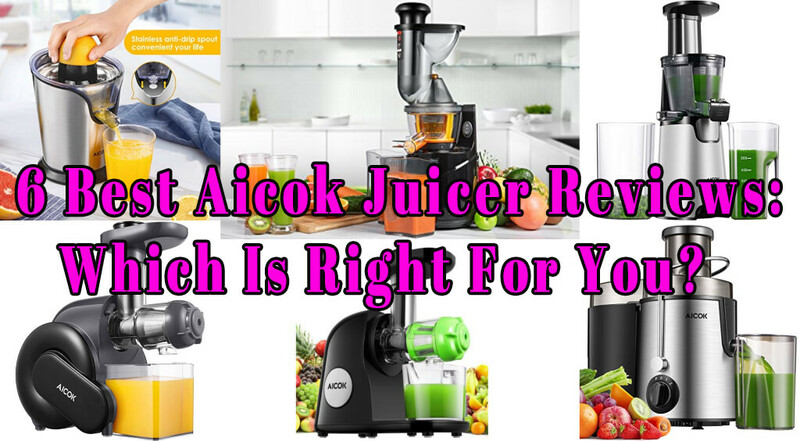 You just need to press the fruit half down and rotate it against the reamer and you’ll get your desired juice in half the time that it takes, when you use other juicer models. The strainer filters out the heavy pulp and the seeds, while juice is being squeezed. Therefore, what you are getting is pure juice that is not mixed with a seed or part of the mash. Kasmoire squeezer is made of components that are BPA free. BPA or bisphenol A is a kind of chemical used in the manufacture of plastic. When its said that something is BPA free, it means that using it makes you free from cancer causing chemicals. This Kasmoire juicer is portable, so you can carry it around – to the park, to your office or when you go on a trip. This product promotes safety and health. 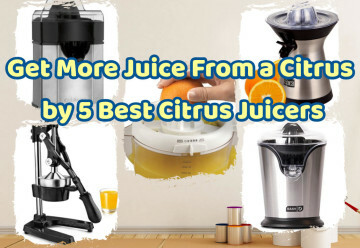 Use to squeeze juice out of lemons, oranges, grapefruits, tangerines and other citrus and live a more healthy life. 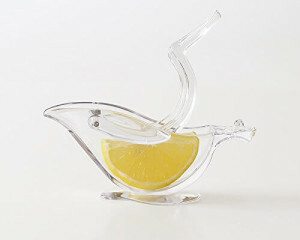 This is the lemon and lime squeezer that is not made of glass, but of plastic. This is plastic that looks like glass and made by Eastman Chemicals Co. Tritan copolyester is a different kind of plastic that is being marketed as BPA free. This material can extend the life of water bottles, as well as the parts used in manufacturing the lemon squeezer. Tritan gives the juicer an exceptional dishwasher durability and it also encourages proper sanitation, for the safety of plastic containers. 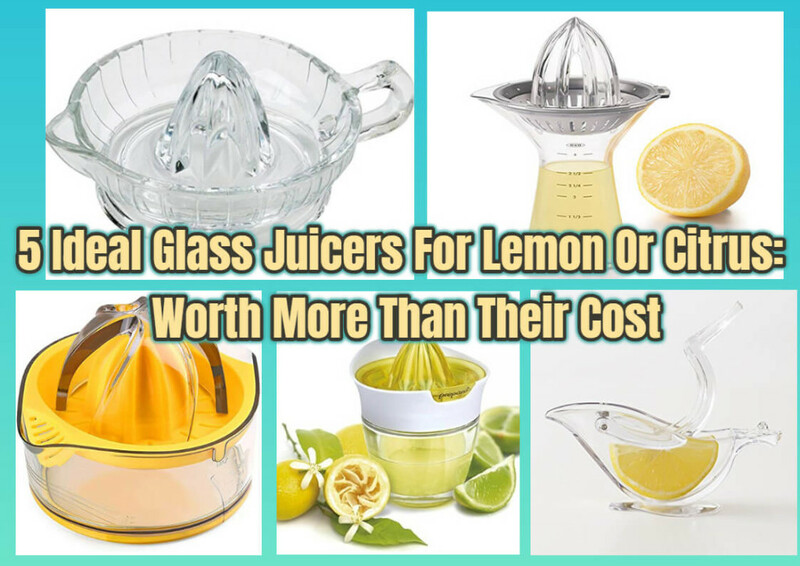 This juicer which has been made from Tritan copolyester is much lighter than those juicers that have glass components, so they are easier to handle and can be used without fear of breaking. 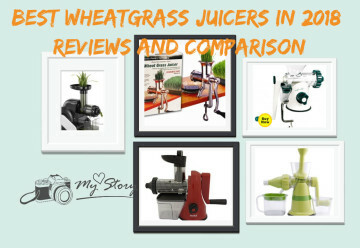 It stands out among the stainless steel and ordinary plastic juicers, in the sense that Press Art USA juicers have looks that last. 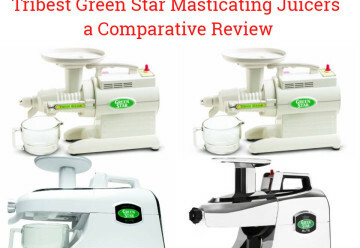 While the other brands lose their shine and luster after extensive dish washing, this particular juicer can retain its color and gloss. 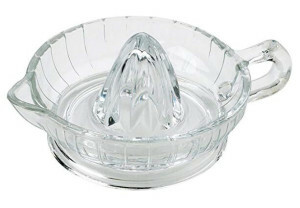 Considered one of the best lemon squeezers in the market, the Press Art USA comes in two dishwasher safe units, both crystal clear and elegantly designed. You can squeeze more juice with it, and offers an easy press and pour action – no sticky fingers and no embarrassing squirts on clothes. This product also makes a great gift for most occasions. 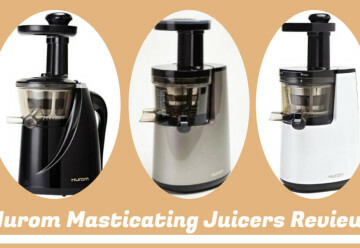 There they are, the five glass juicers that I recommend to you. 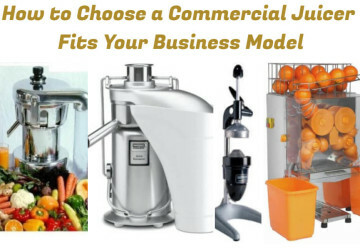 In making your decision, do not forget to consider in your budget, the juice preparation time, cleaning up, space in your kitchen and the shelf life of the juice that you extracted. 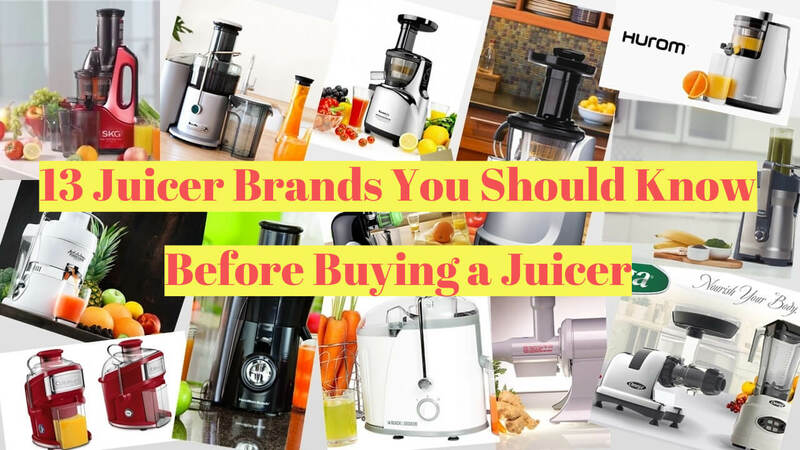 Buying any of the juicers listed above will make sure that you can’t go wrong in your choice. 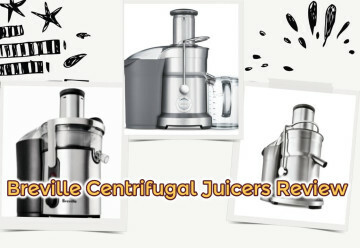 Your juicer will be suitable, satisfactory and function well. When you’re done juicing, ensure that you clean it right away, so it will always be available and clean anytime you need to use it again. If, for any reason, you can’t do the washing, try to soak the parts in warm water till you can do it to prevent them from getting crusty and also avoid the hard time of cleaning.